and how we win them from our center out. Miro, my Warrior Poet Friend, I am honored to be nominated by you. The Pen, is indeed, Mightier than the Sword. You are Light. 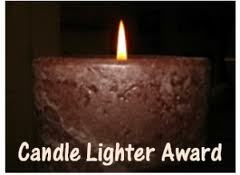 for those who keep trying and if you’re in this category, you are entitled to this Award. Thank you all for your support and inspiration. Each of you has touched my life and are touching the lives of others. I am honored to know you all. Thanks once again to Miro of http://warriorpoetwisdom.com/ for the nomination. ~ by Step On a Crack on January 14, 2012. Thank you very much Jen, your words have shown me a way to share and to be who I am. I hope you know how much YOUR writing has meant to me! I have learned so much from you; both on your blog and in your support here. YOU are a heaven sent Gift! I want you to know how much your blog has given ME and anyone with a Traumatic Brain Injury. I need you and your words of support and guidance. Peace, Jen Take it Easy, OK? This is a HUGE honor coming from you: the Highest Level of Survivors and supporters of all levels of humanity I’ve ever known!! I can’t tell you how much this means to me! I love you with all my heart! I want to thank you for your courage and your ABSOLUTE SURVIVOR spirit. You talk to me in truth, and only truth. No one is that strong! You light MY candle! You are my good, strong, warrior friend. I am so excited we are building our new relationship. You saved me, literally tonight! You are awesome, and i hope you get a PhD in psych so you can counsel others. Thanks for coming to dinner with me. I may still be sleeping in the basement tonight!!!! So be it. All will be well. You have taught me to be honest and stand my ground. And i will, for that reason: Because Jen said so! Power, strength and beauty: That is you! YOU have always been an inspiration to me my friend. One day I will find that Darn mirror that will show you the you I have always seen! Your blog is very important. You have so much to share with everyone who is bulimic or suffers from an eating disorder. Your ideas and your story are very important. You are a Light Mel; you just are. Thank you for ‘taking me with you’! YES! That was fun! oh this is cracking me up!! I have NEVER heard anyone use Ayn Rand and the Dalai Lama in the SAME sentence! I love(d) Rand and really love the Dalai Lama. Very clever, you! Jen, I wanted to award you this, but someone beat me to it. 😉 I am so glad you have received it, though! You do light a candle in the darkness of w-k. You keep on shinin’, y’hear! Kathy, do you know I think of you every single day? Did you know that every time I do, I smile? You make me a better person. Thank you! one day I am gettin on a bus…. This recognition coming from you, Jen, means more than I can adequately express in words. Your honest writing is truly a guiding light for us to follow as we attempt to describe ourselves and our journey. I hope to pass the Candle Lighter to others before the end of this day set aside to remember Martin Luther King, Jr. Thank you again for your voice of clarity and compassion! Congratulations to you Jen. I honor you for your courage, and perseverance, and selflessness in reaching out by sharing your story with others, and in doing so, helping. Thank you VERY much for being here and for Wandering!! !